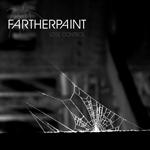 Farther Paint's 'Lose Control' is the third of Lion Music's December 2008 releases, and by far the most interesting of all. Farther Paint comes from Italy and were discovered by Lion Music through MySpace. Both their MySpace bio and Lion's promo sheet describe Farther Paint's music as progressive metal, and the band at the forefront of growing progressive movement in Italy. Though there are heavier moments on 'Lose Control,' this work is more progressive rock than metal with a huge keyboard/synth presence. So much so that often both the vocals and other instruments, particularly the guitar, get lost in the presentation. This is most noticeable on 'Hold Me' and 'Anger.' On the former, Monia Rossi's lovely soulful vocals take a back seat to the overwhelming keyboards. Francesco Federici's guitar solo near the end seems nearly indistinguishable from the synthesizers. This also occurs on the the latter piece, 'Anger,' where again I thought I heard guitar, but it could have easily been synthesizers. With this said, the single most compelling feature is the keyboard work of Gabriele Manocchi which can only be described as diverse, eclectic and creative. As for the songs the themselves, the aforementioned ones are good in their own right with 'Anger' being the better of the two. Yet, I found three other songs more interesting. The first being the short, almost segue piece, 'Chains' which demonstrates the vocal strength and clarity of Rossi. Secondly, 'Inside The Cage' captivates with it's novel, even quirky, arrangement that reveals a fusion of funk, jazz, and rock. Finally, the best piece is the closer, 'My Noise,' the most accessible song with less progressive nuances and more melodic rock. Farther Paint's 'Lose Control' is ambitious and creative progressive rock. Lovers of a strong keyboard presence will be more than pleased. I found it more than a little overwhelming (which accounts for the lower score). Even so, I found 'Lose Control' to be an impressive debut and a strong foundation for future ventures. Recommended. Farther Paint's 'Lose Control' is ambitious and creative progressive rock. Lovers of a strong keyboard presence will be more than pleased. I found it more than a little overwhelming. Even so, I found 'Lose Control' to be an impressive debut and a strong foundation for future ventures.